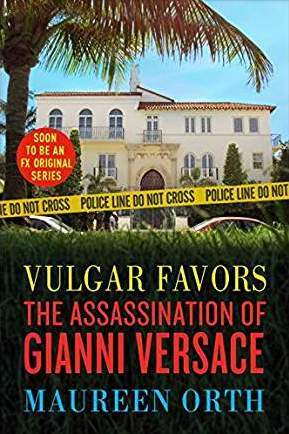 Two months before Gianni Versace was murdered on the steps of his Miami Beach mansion by Andrew Cunanan, award-winning journalist Maureen Orth was investigating a major story on the serial killer for Vanity Fair. Culled from interviews with more than four hundred people and insights from thousands of pages of police reports, Orth tells the complete story of Cunanan, his unwitting victims, and the moneyed, hedonistic world in which they lived . . . and died. In fascinating detail, she reveals how Cunanan met his superstar victim, why police and the FBI repeatedly failed to catch Cunanan, and why other victims’ families stonewalled the investigation, as well as the controversial findings of the Versace autopsy report. Here is a gripping odyssey that races across America—from California’s wealthy gay underworld to modest Midwestern homes of families mourning the loss of their sons to South Beach and its unapologetic decadence. Vulgar Favors is at once a masterwork of investigative journalism and a riveting account of a sociopath, his crimes, and the mysteries he left along the way.